The opening nose is toasty, malty and dry; aeration releases deeper aromas of milk chocolate, honey, vanilla frosting and dates. The palate entry is decadently oily, creamy and spirity; at midpalate the flavor turns sweet, cocoa-like and concentrated. Concludes velvety, honeyed and downright voluptuous. I suggest a minimal addition of room temperature mineral water. A definitive Glenrothes. 96-100 Points Wine Enthusiast. Since leaving school at the age of sixteen, Robert Scott has been involed in the Scotch Whiksey trade. Working his way up from an entry level still cleaner, his knowledge of all aspects of distilling grew until he, at the age of 32, had a well deserved reputation as a "all rounder" in whiskey production. Even more importantly he had become one of the most respected "nosers" of Scotch Whiskey. Years of training along with a keen sense of smell allowed Robert to appreciate individual characteristics and idosyncrasis of up to 100 differant malt whiskeys. Obtaining the postion of Master Distiller in the 1970's, Robert Scott maintained the fine traditions of the craft until his retirement. Before he could attend his garden full time, Robert was given one final task, which was to create a personal selection of his favorite single malts, and so began Scott's Selections. Robert had a meticulous criteria for his selections including the highest quality malts (and one grain), ideal level of aging, bottling with the greatest care to ensure the malts retain the natural state they maintained in the cask, and the heritage and characteristics of the Highland, Lowland and Islay regions reflected in the consumer packaging. 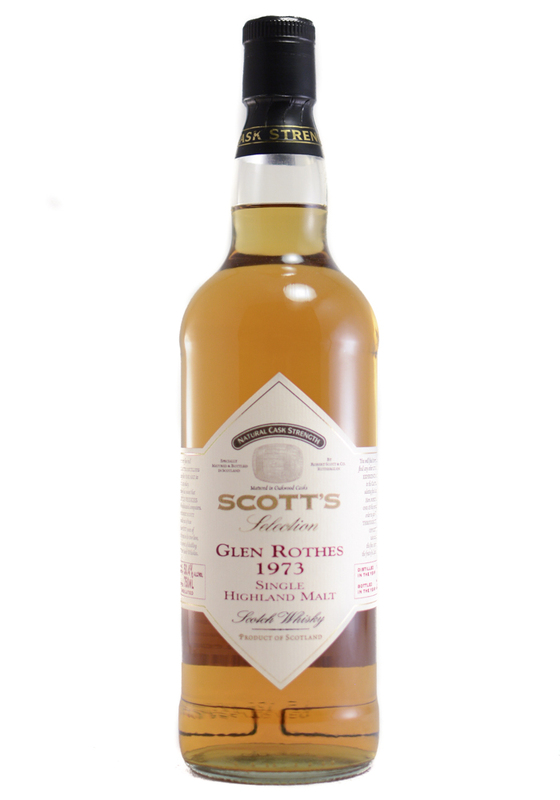 Scott's Selection is a tribut to Master Distiller Robert Scott, and the great tradition of Scottish whiskey.